If you have a gallery on your smartphone filled with photographs and you have no clue what to do with them we have a solution. 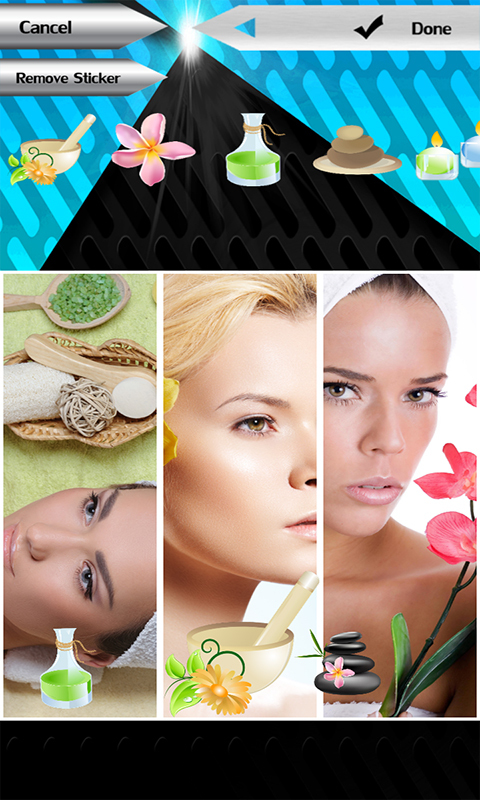 Download free Spa Photo Collage app and construct a fabulous masterpiece that you can share with your friends to show them your creative side. 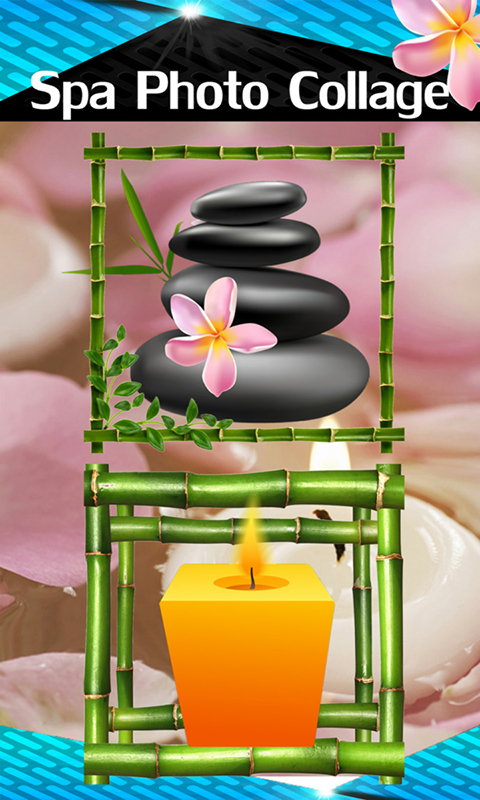 Decorate your personal pictures with the symbols used for creating a soothing atmosphere during massages and you will gain a calming pic collage. Place lit candles and hot pebbles all over your images and you will create something that has not been seen yet. The best thing that you can wish for after a long day at work is a relaxing massage in a comfortable ambient. The scented sticks are always there to help you feel at ease and of course it cannot pass without some cool music. The latest Spa Photo Collage is going to create this same mood on your tablet and you will get soothing pic collage. Discover an artist in you and impress everybody with your creativity.